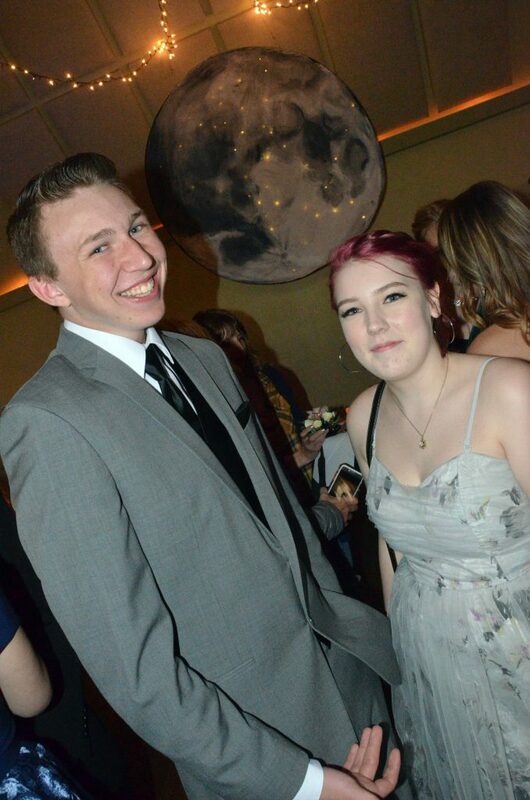 Mackenzie Anderson and David Prescott enjoy Moffat County High School prom. 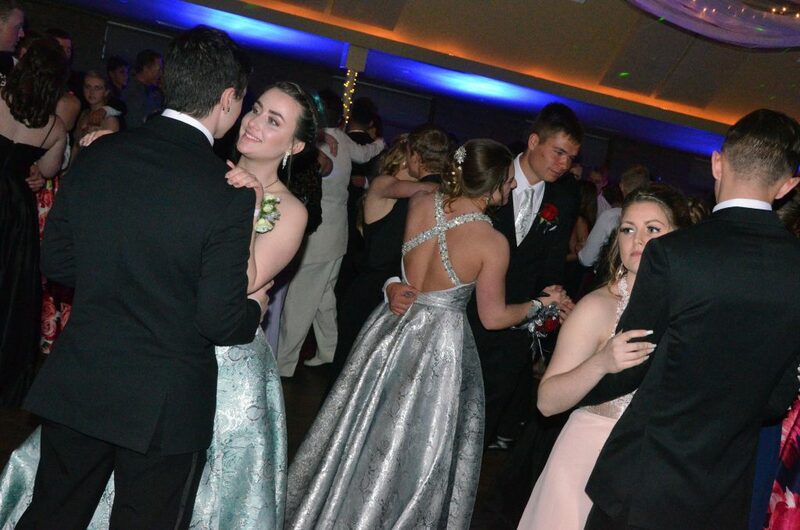 Students hit the dance floor at Moffat County High School prom. 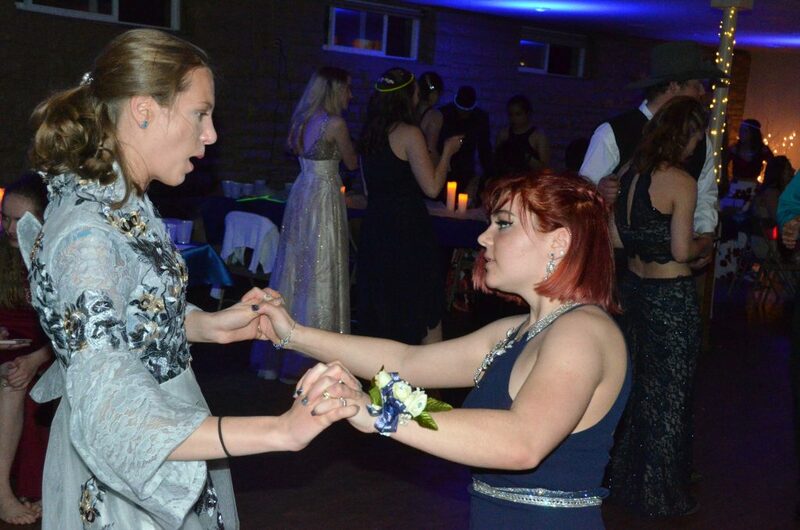 Sisters Madie and Reese Weber put their full bodies into dancing at Moffat County high School prom. 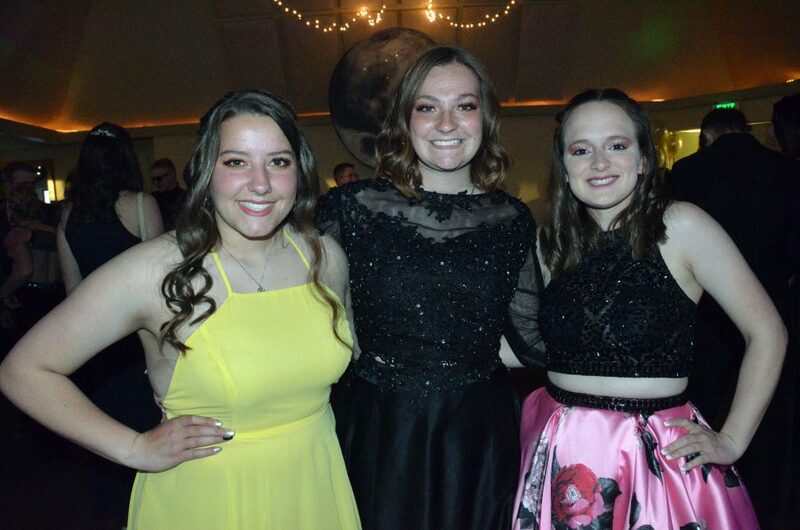 From left, Allison Villard, Sara Beason, Emma Jones and Liberty Hippely snag a photo at Moffat County high School prom. 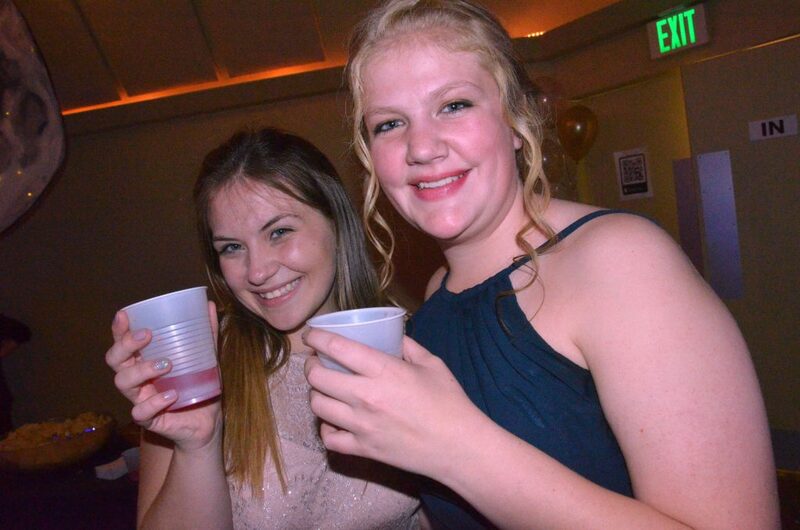 KennaLee Rowley and Ellina Jones grab some punch at Moffat County high School prom. 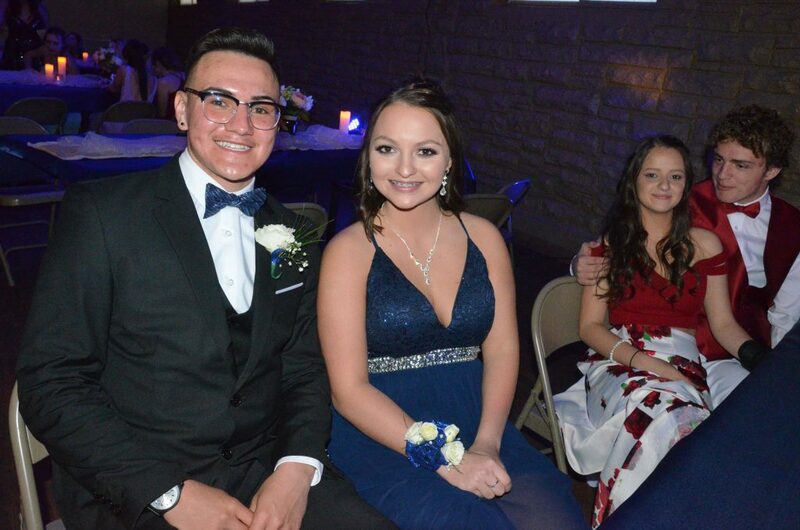 Aaron Hernandez and Hali Reyes take a quick seat from the action at Moffat County high School prom. 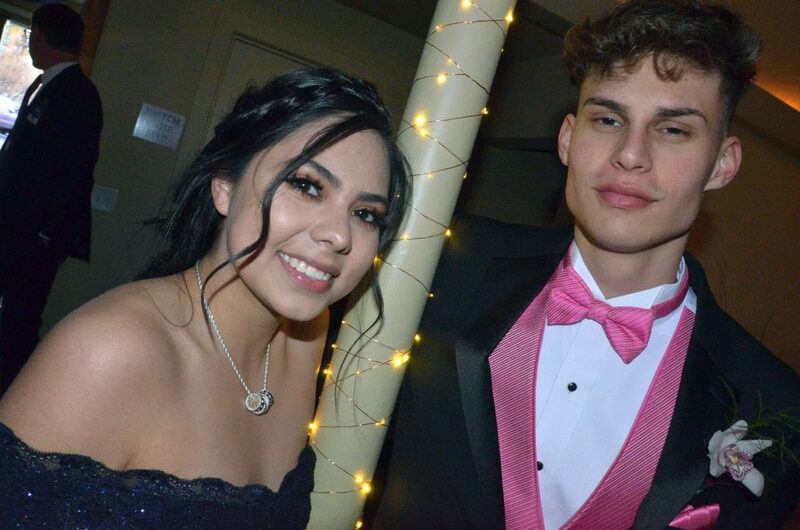 Marlyn Arellano and Tyler Gonzales show their excitement at Moffat County high School prom. 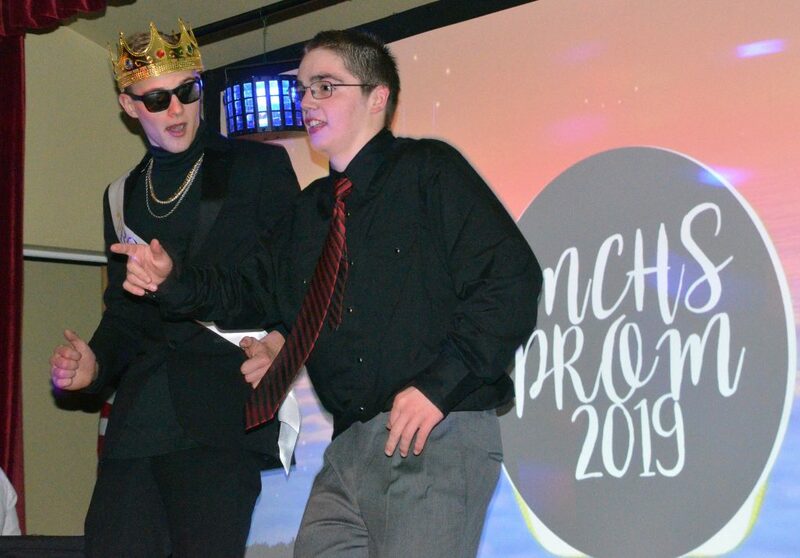 Kameron Baker and Derek Powers get the crowd hyped up at Moffat County High School prom. 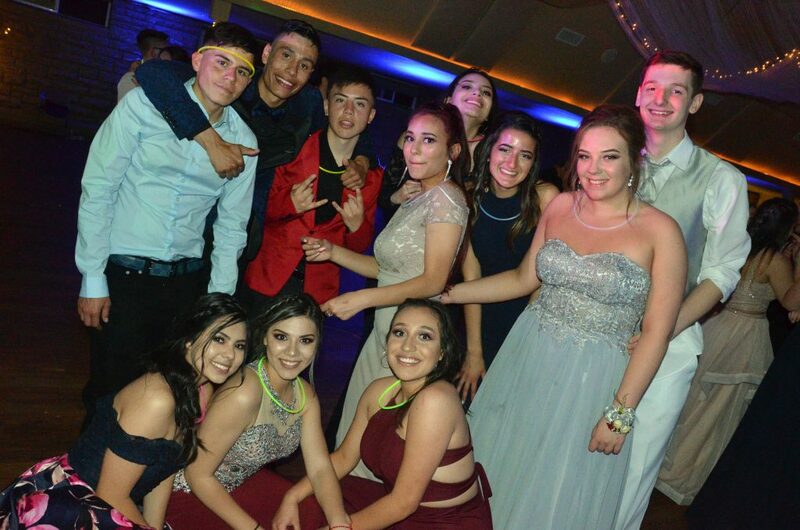 Partiers gather for a group photo at Moffat County High School prom. 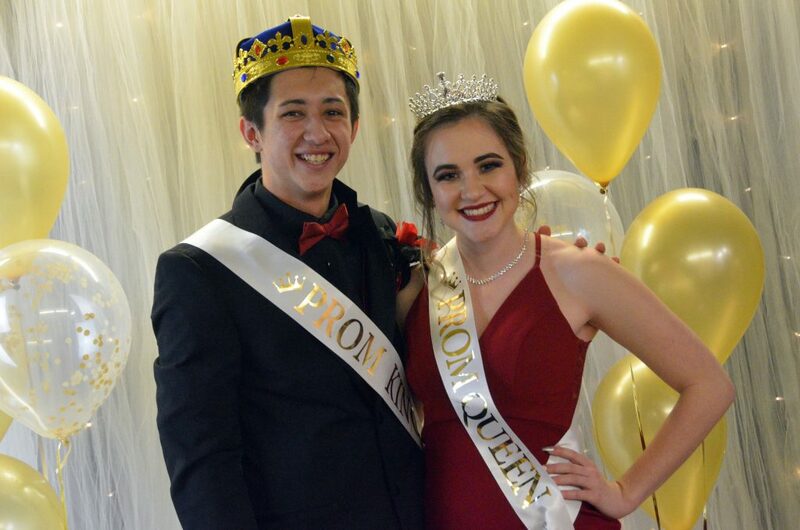 Couple Fiona Connor and Sambu Shrestha celebrate their respective wins as Prom Princess and Prom King. 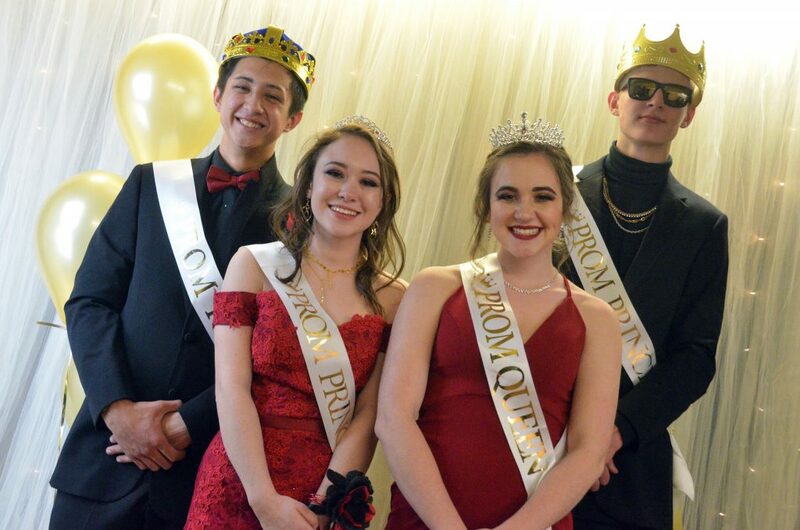 From left, Prom King Sambu Shrestha, Prom Princess Fiona Connor, Prom Queen Alyssa Zimmerman and Prom Prince Kameron Baker gather for a royal photo. 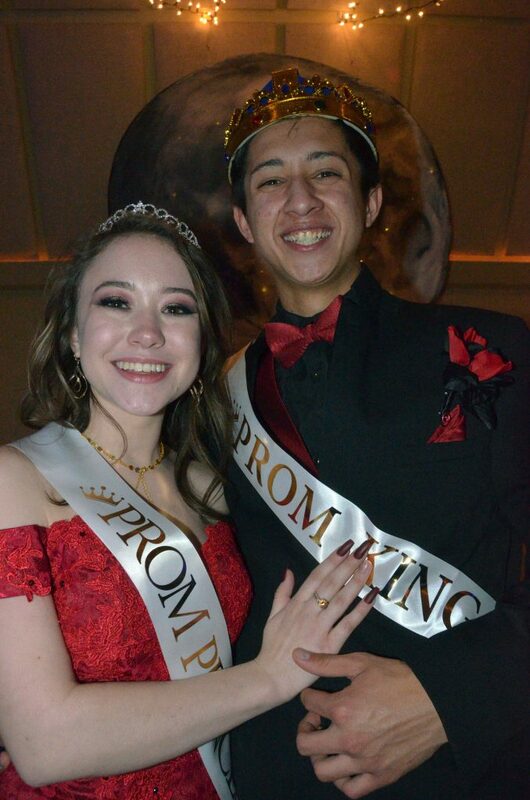 Sambu Shrestha and Alyssa Zimmerman get their royal photo taken as Prom Prince and Princess. 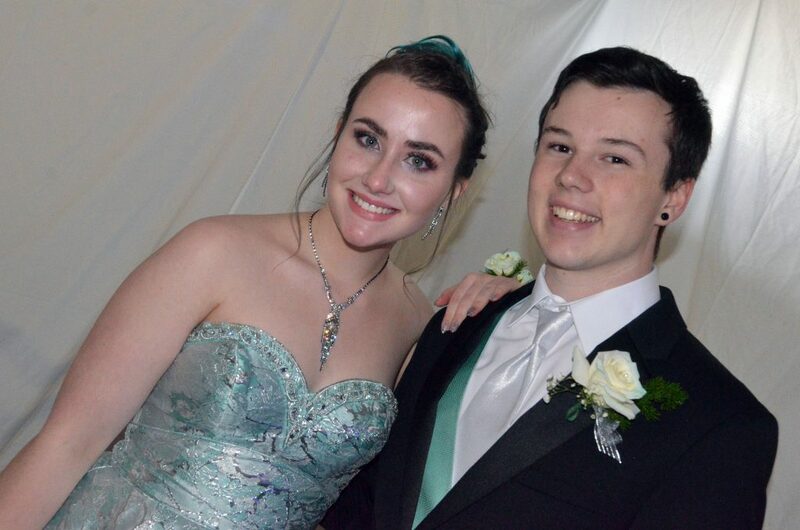 Kameron Baker and Fiona Connor get their royal photo taken as Prom Prince and Princess. 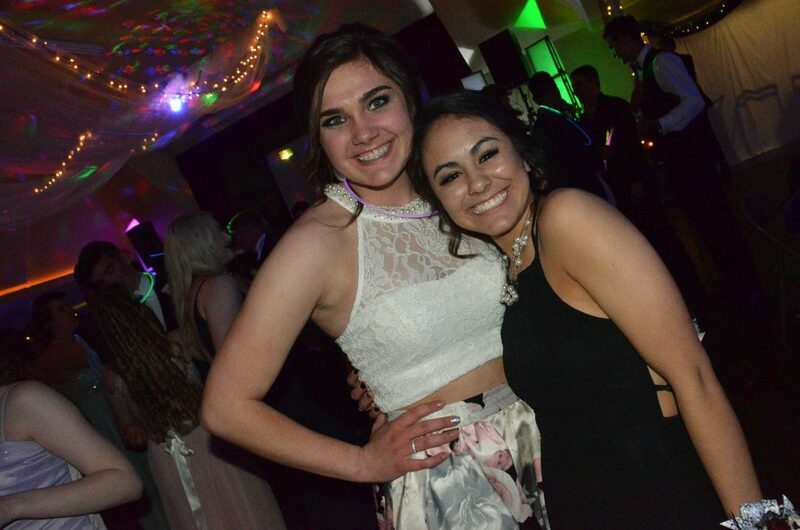 Jenna Timmer and Makayla Martinez strike a pose at Moffat County High School prom. 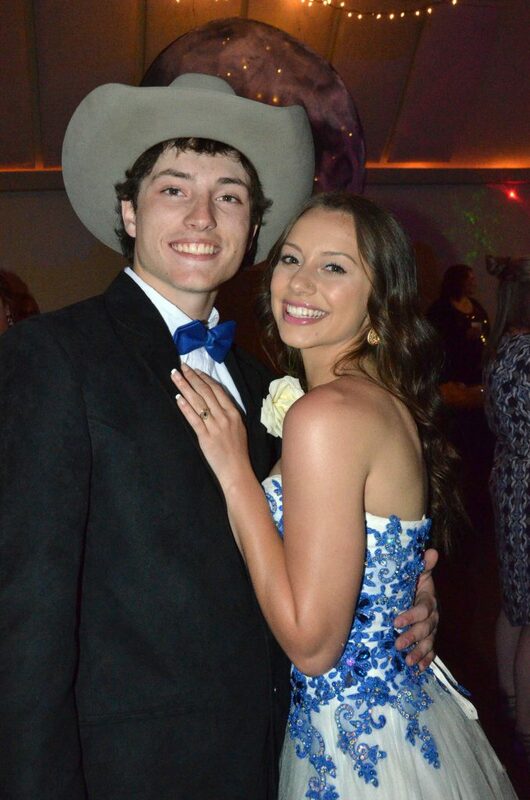 Torin Reed and Stephenie Swindler smile big at Moffat County High School prom. 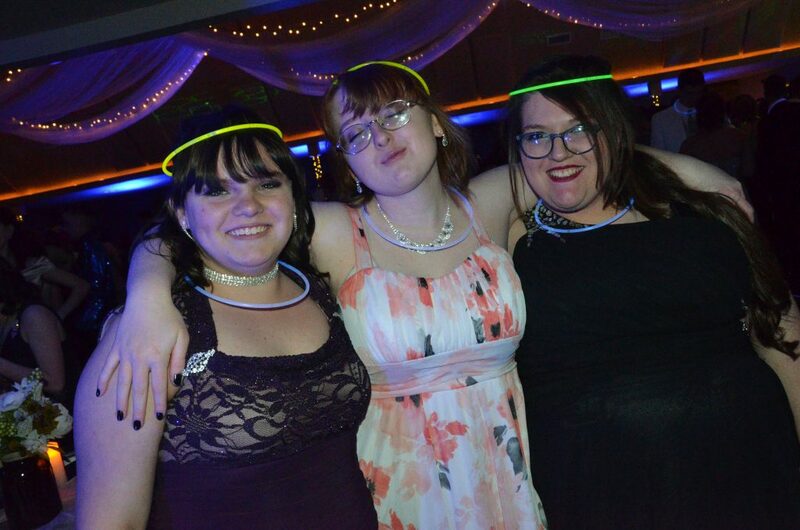 From left, Nikki Brown, Savannah Jacobsen, Orianah Chappele don glow rings during Moffat County High School prom. 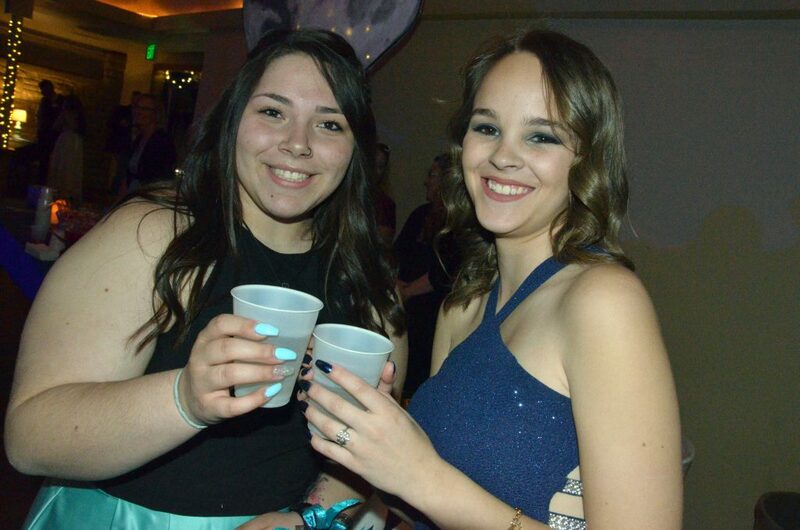 Tessona Gonzalez and Trinity Schenck rehydrate during Moffat County High School prom. 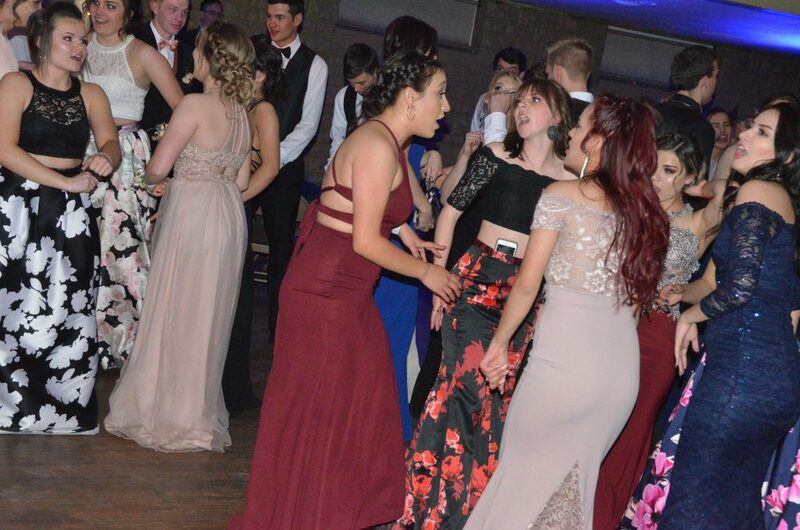 Students dance at Moffat County High School prom. 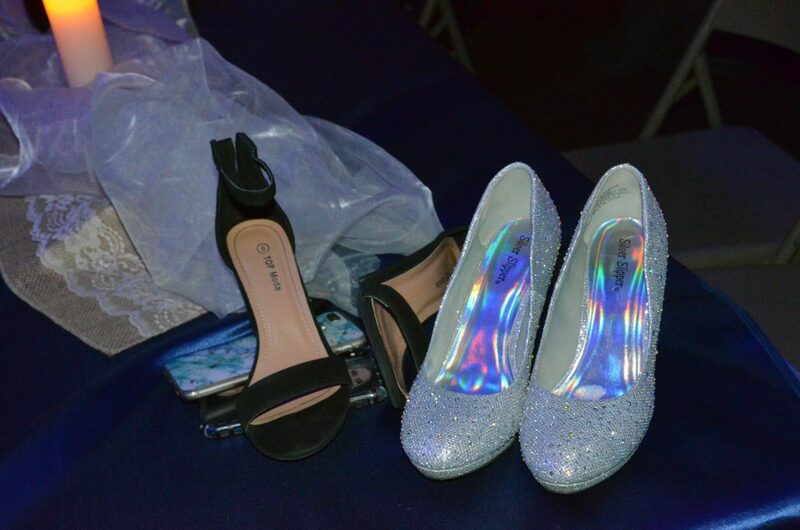 Girls footwear has the rest of the night off at Moffat County High School prom. 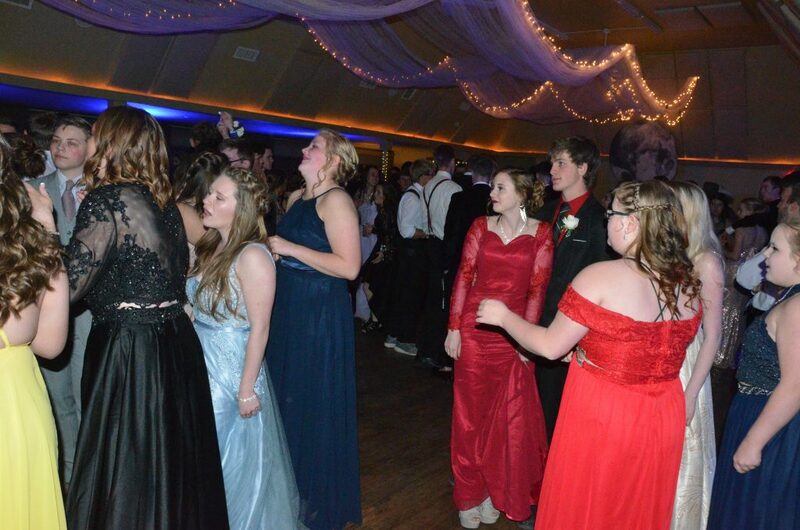 The crowd is sizable at Moffat County High School prom. 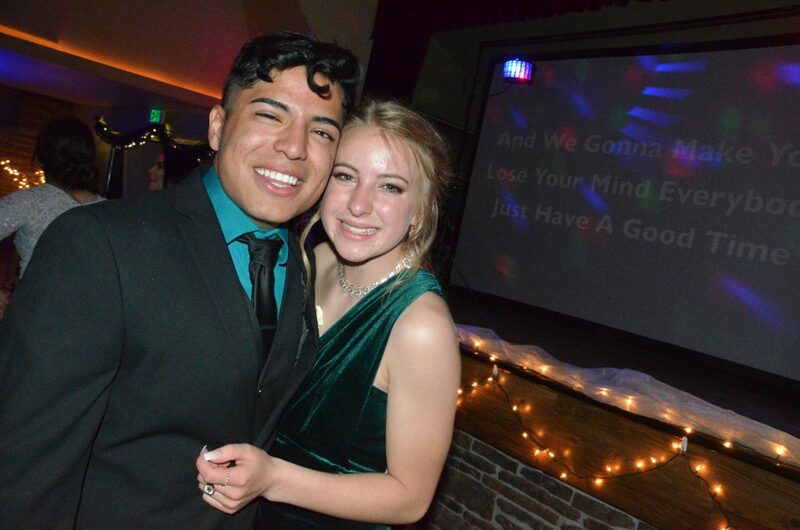 Kevin Hernandez and Halle Hamilton cling together at Moffat County High School prom. 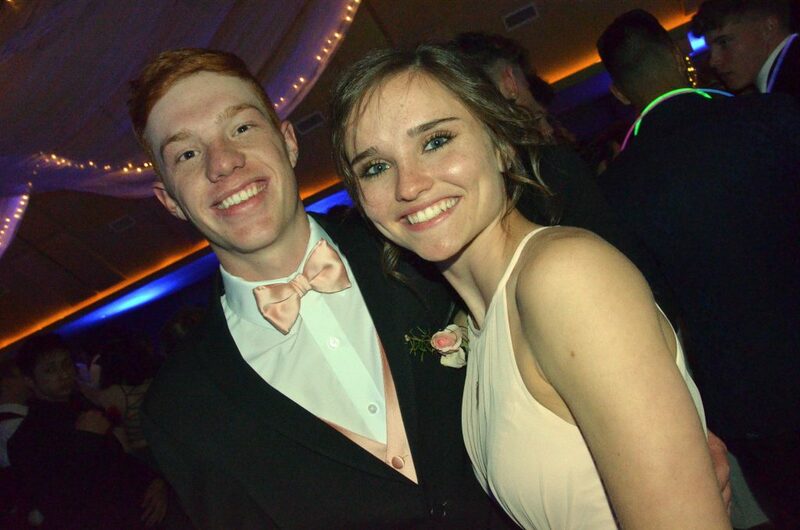 Sophie Hough and Collin McStay take a break from Moffat County High School prom. 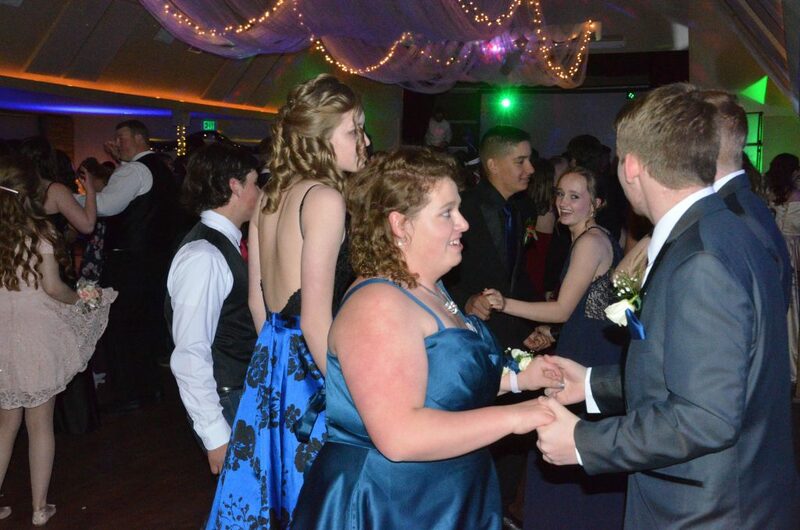 Students share a slow dance at Moffat County High School prom. 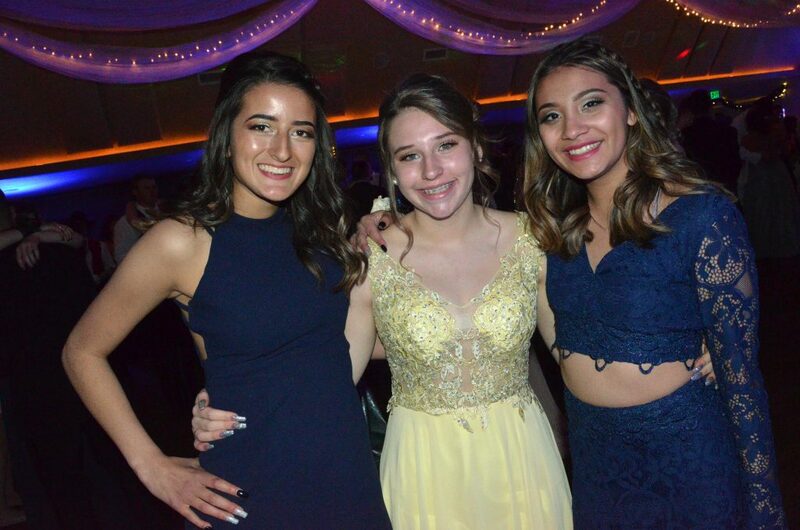 From left, Hannah Vasquez, Alexa Neton and Alyssa Chavez assemble at Moffat County High School prom. 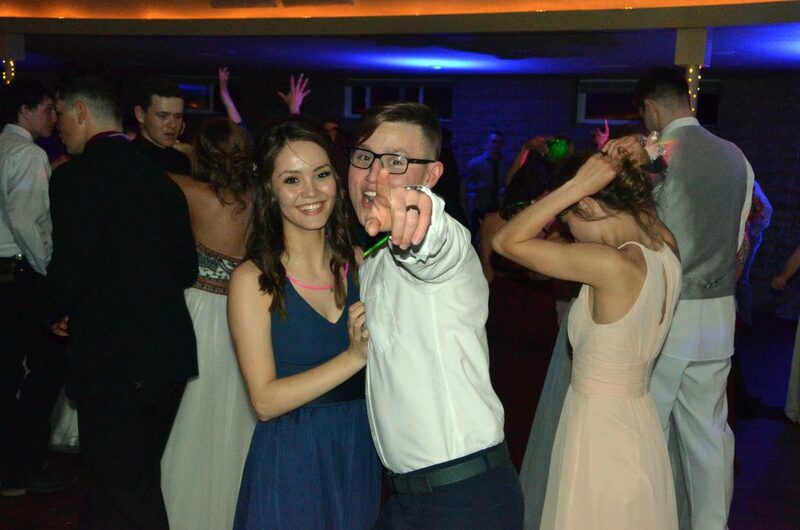 The evening gets going at Moffat County High School prom. 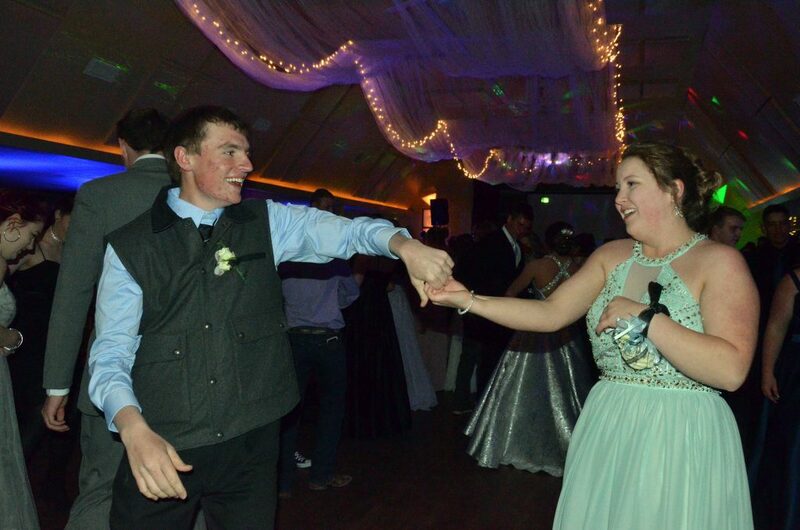 Grady Anson and Maddie Coutts swing each other around the dance floor at Moffat County High School prom. 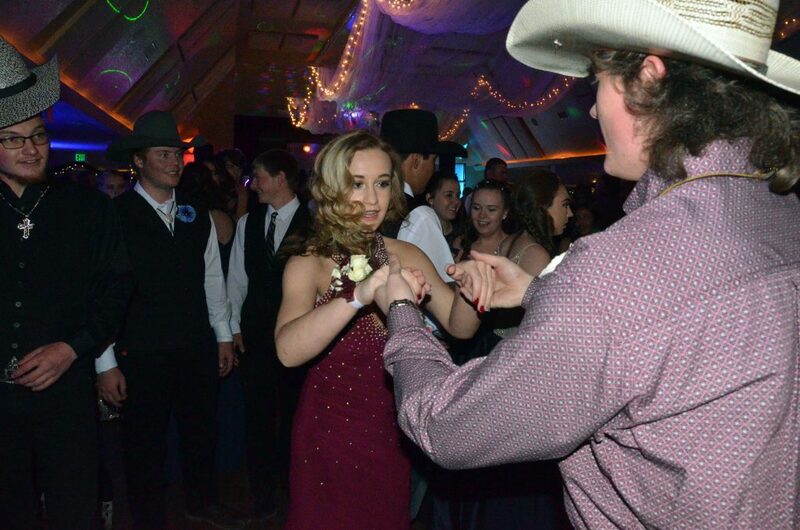 Country swing dancers Lexi Weber and Dylan Kernen put on a show at Moffat County High School prom. 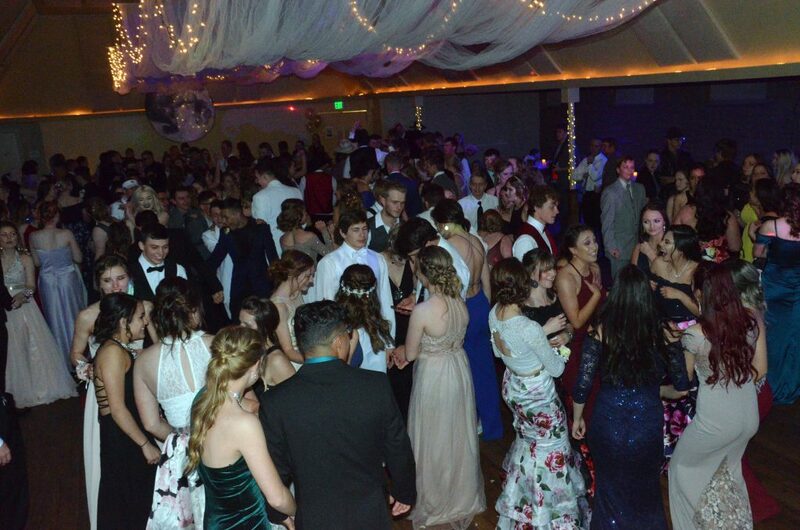 Students pack the floor at Moffat County High School prom. 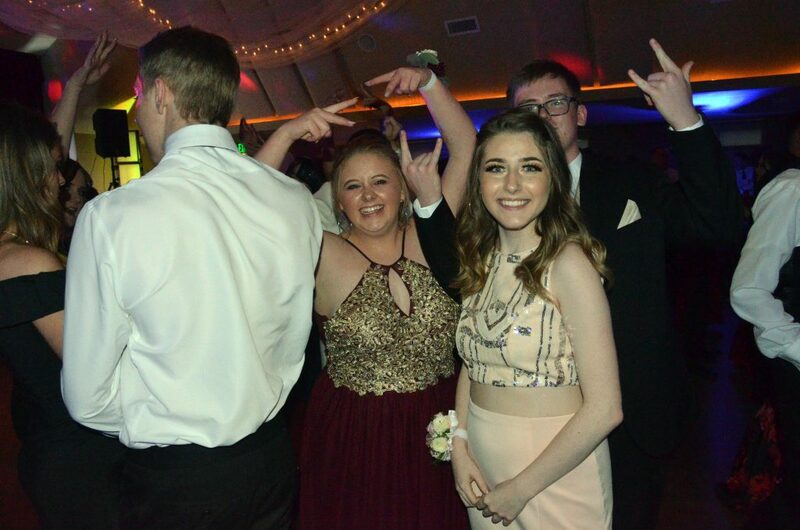 Kelsey McDiffett and Isiaih Herod ready to get into the mix at Moffat County High School prom. 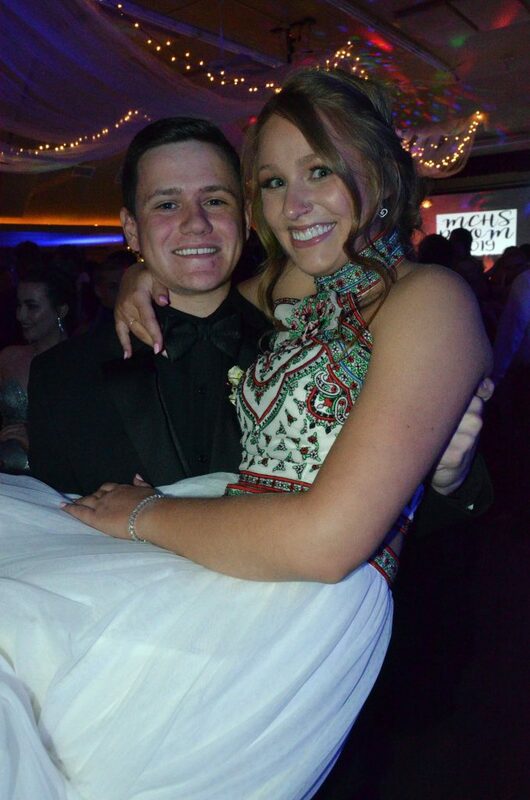 Joe Campagna sweeps Rachel Witt off her feet at Moffat County High School prom. 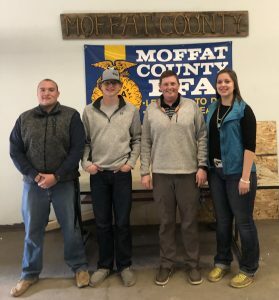 Bailey Lawton and Keaton Durbin are looking to get on the dance floor at Moffat County High School prom. 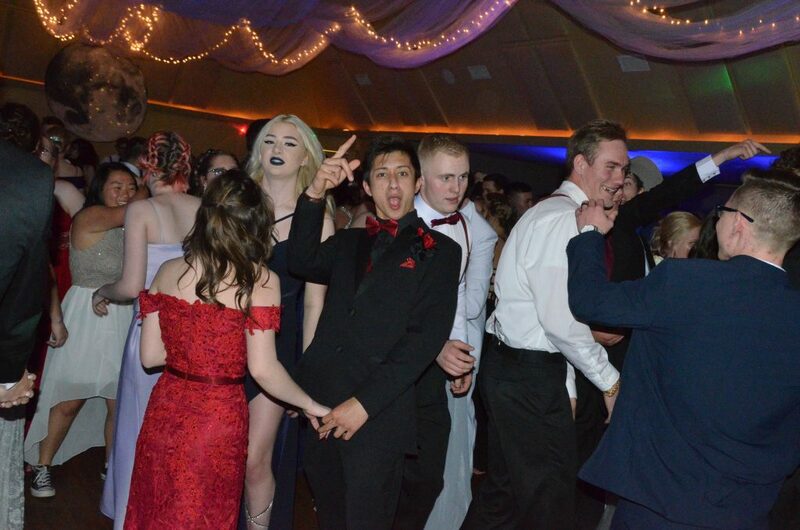 Students keep the energy up at Moffat County High School prom. 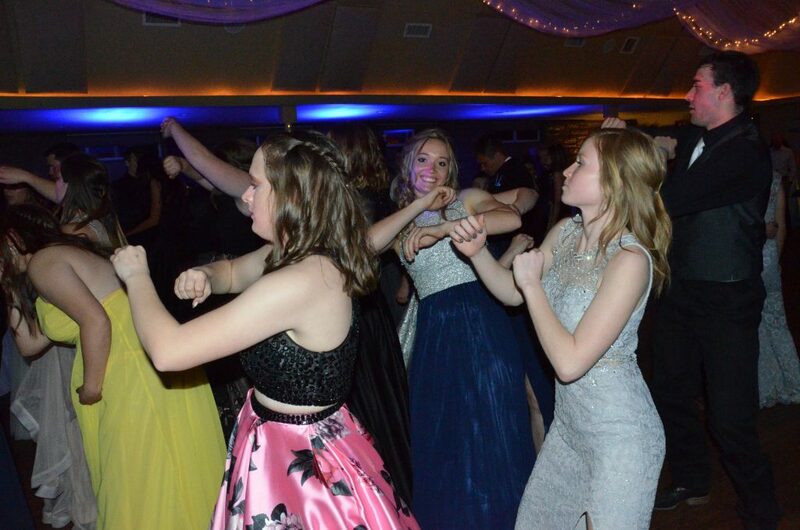 Students stay lively on the dance floor at Moffat County High School prom. 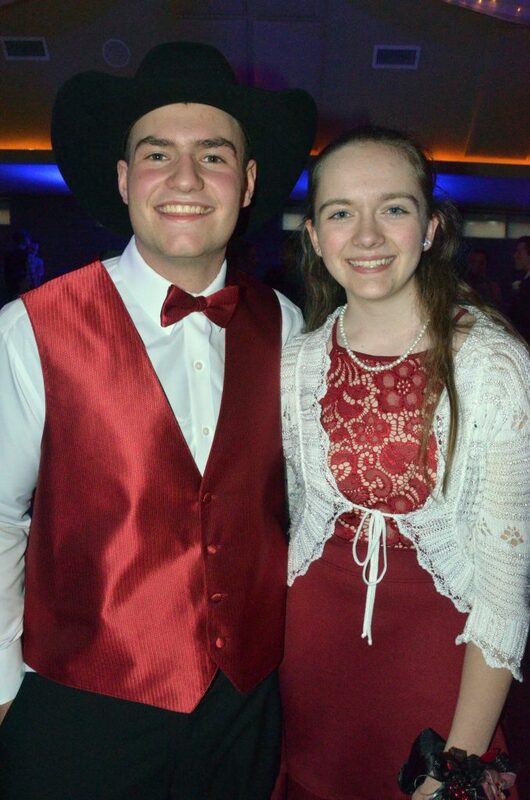 Fun times for Chris Hill and Kimber Wheeler at Moffat County High School prom. 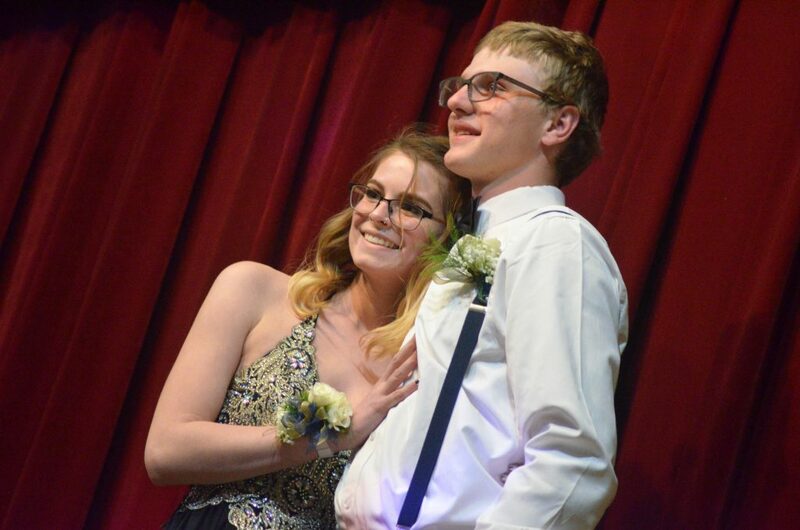 Connor Murphy and Mikayla Cardile waste no time after entering Moffat County High School prom. 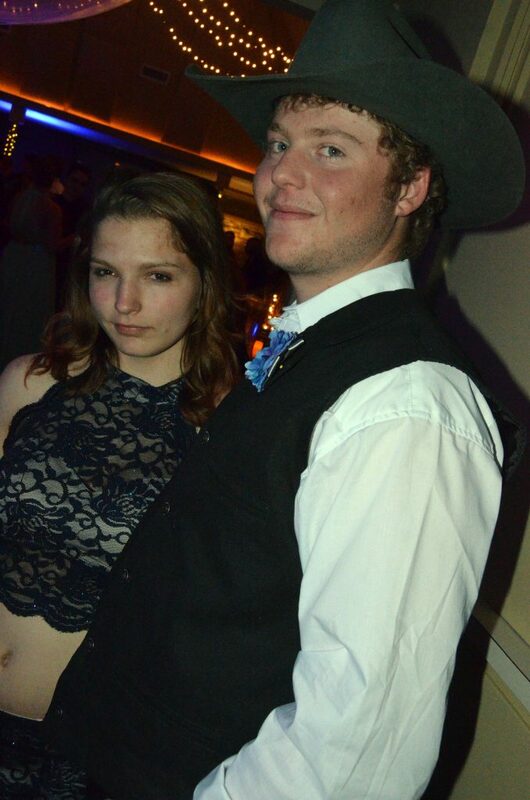 Logan Knez and Alisha Fetz enjoy the happenings at Moffat County High School prom. 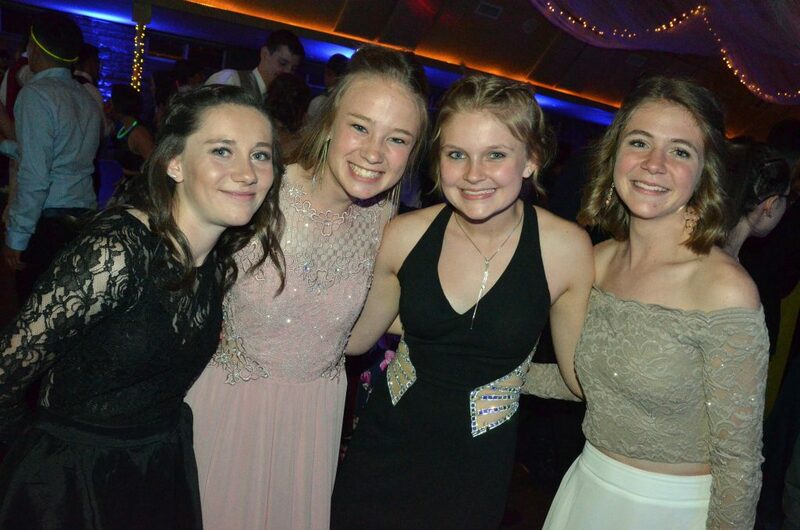 Hannah Vest, Rebecca Shingleton and Michelle Shingleton ready to enter the dance floor at Moffat County High School prom. 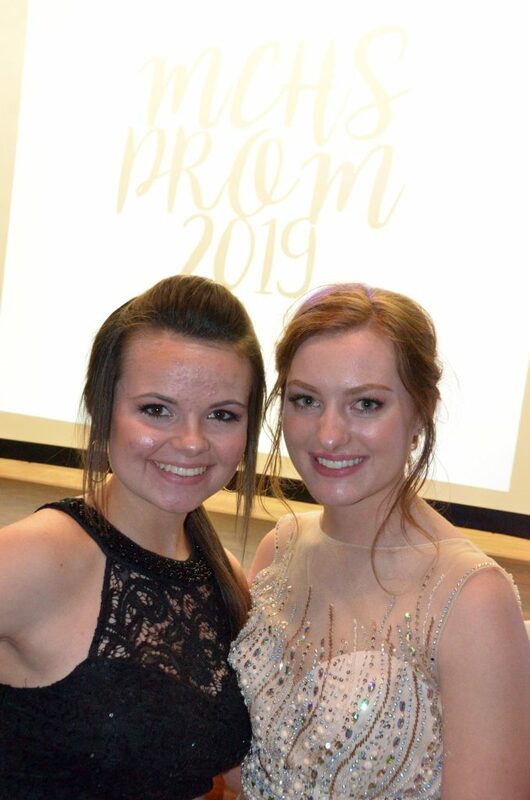 Darbi Zimmerman and Rylie Anderson grab a photo at the stage at Moffat County High School prom. 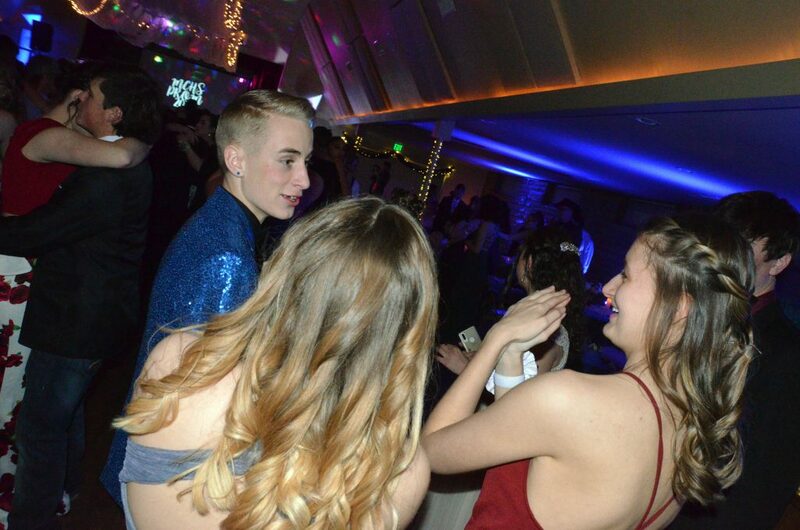 From left, sisters Rylie, Brayden and Mackenzie Anderson share a moment at Moffat County High School prom. 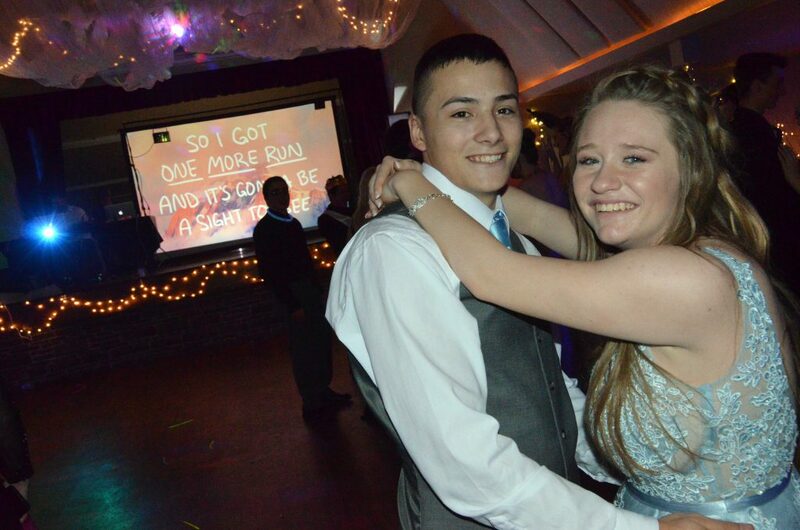 Sambu Shrestha and Fiona Connor strike a couple's pose at Moffat County High School prom. 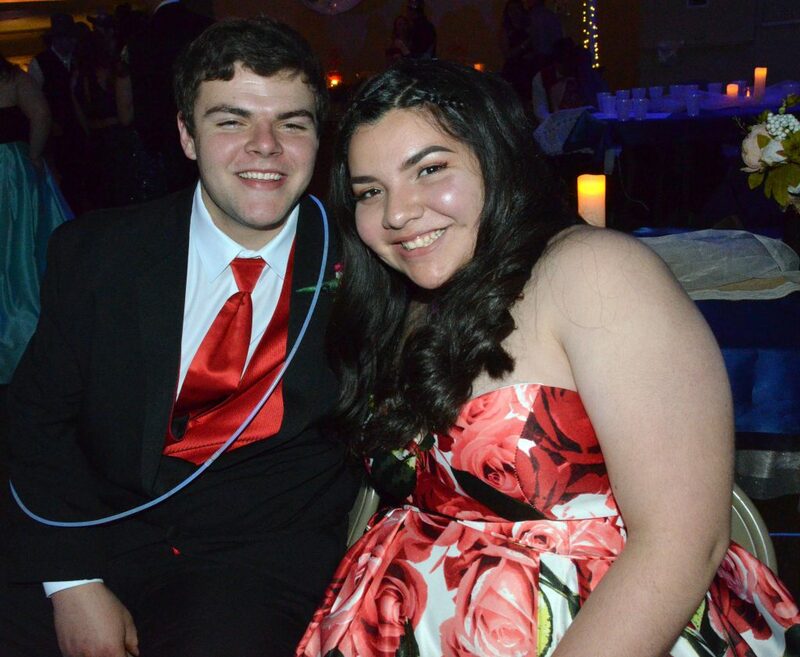 Yoselin Cordero-Alcantar and Jerod Chacon enter Moffat County High School prom. 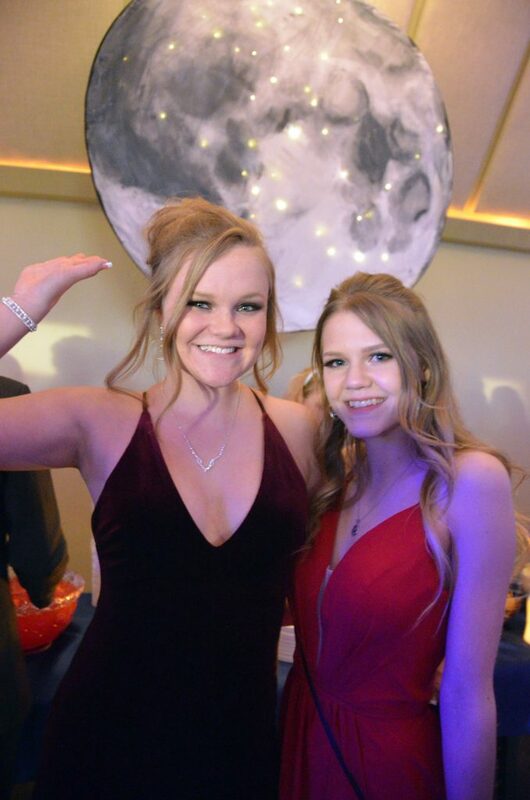 Hailee Herndon and Caylah Million are over the moon at Moffat County High School prom. 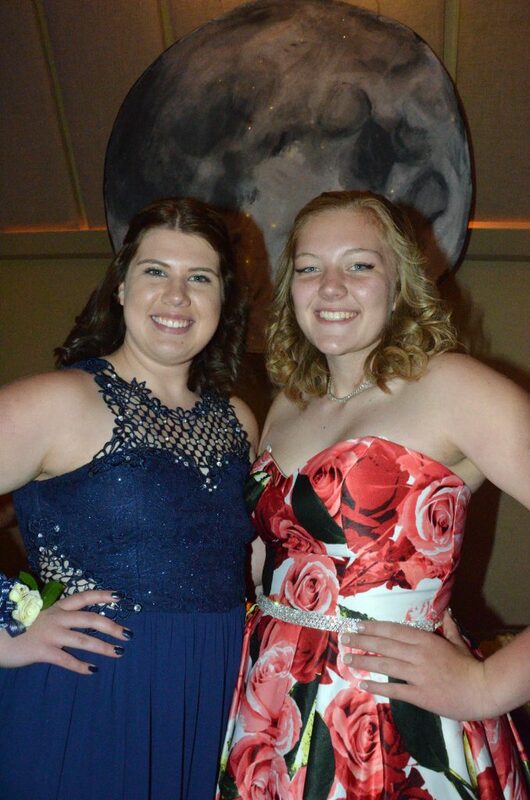 Caroline Riley and Jada Switzler are over the moon at Moffat County High School prom. 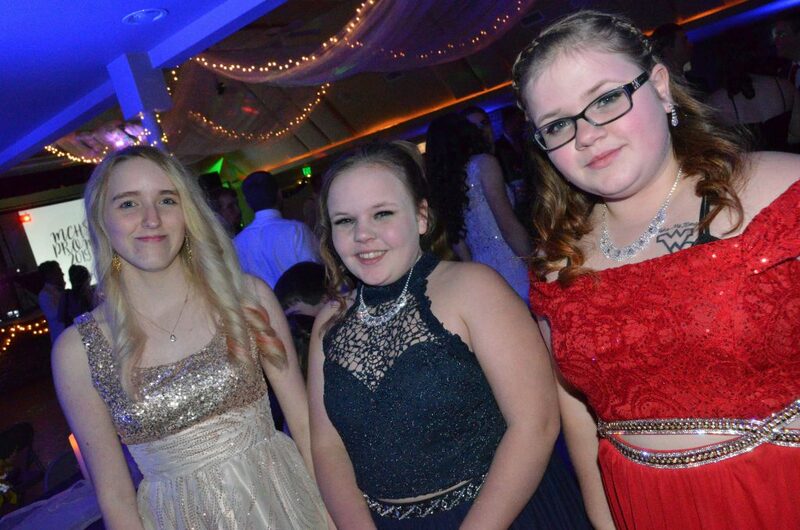 From left, Ebawnee Smercina, Terry Gillett and Bree Williams gather at Moffat County High School prom. 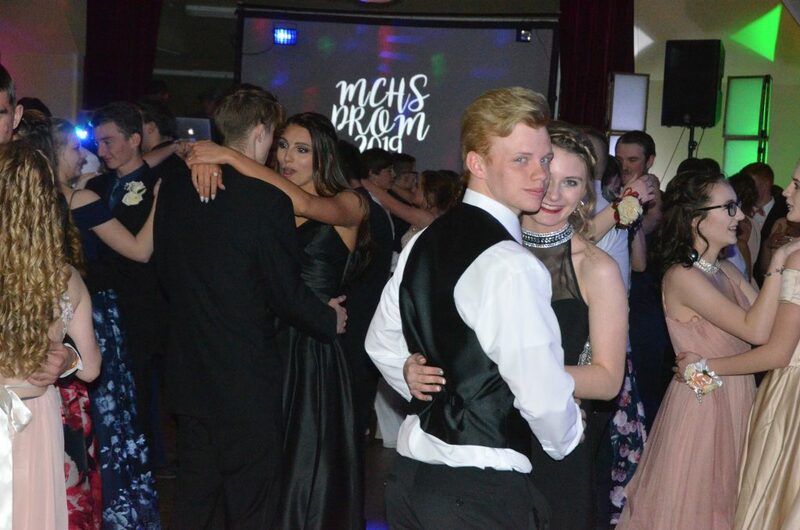 From left, Victor Silva, Faith Morgan, Kenzie Rehor and Jared Atkin take a break from the action at Moffat County High School prom. 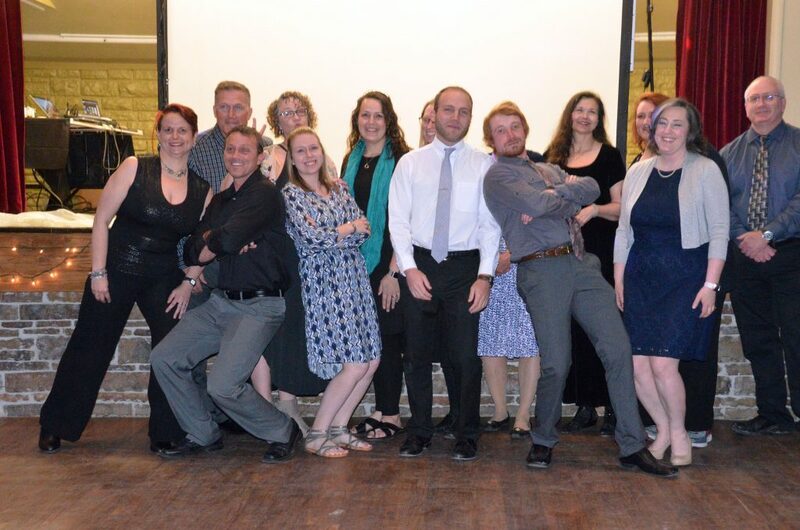 Staff members and chaperones grab a photo together before Moffat County High School prom gets going. 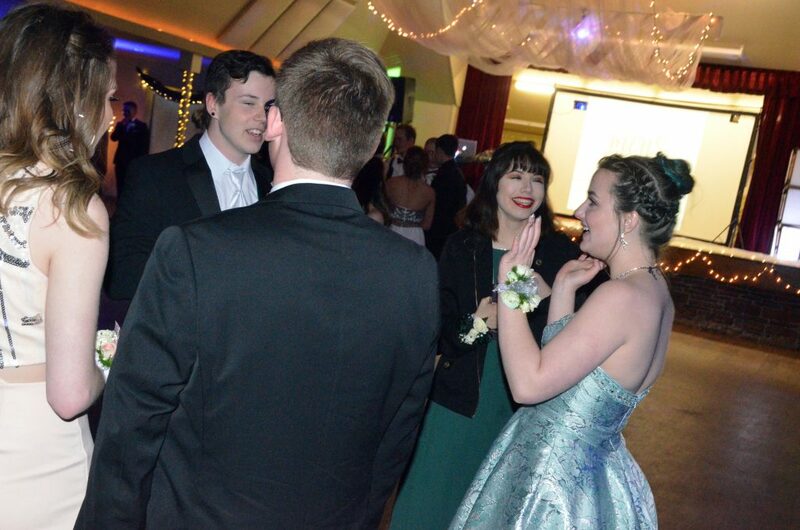 Students are ready for the night ahead at Moffat County High School prom. 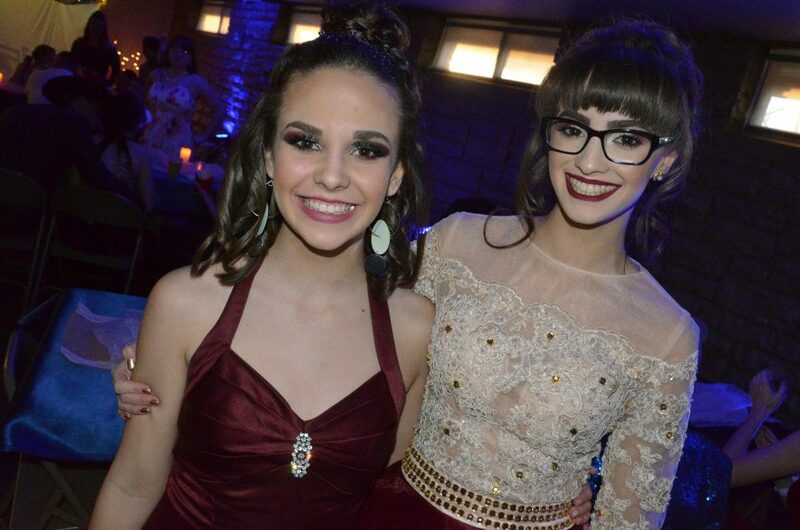 Sisters Juliet and Abigail Hall get ready for the start of Moffat County High School prom. 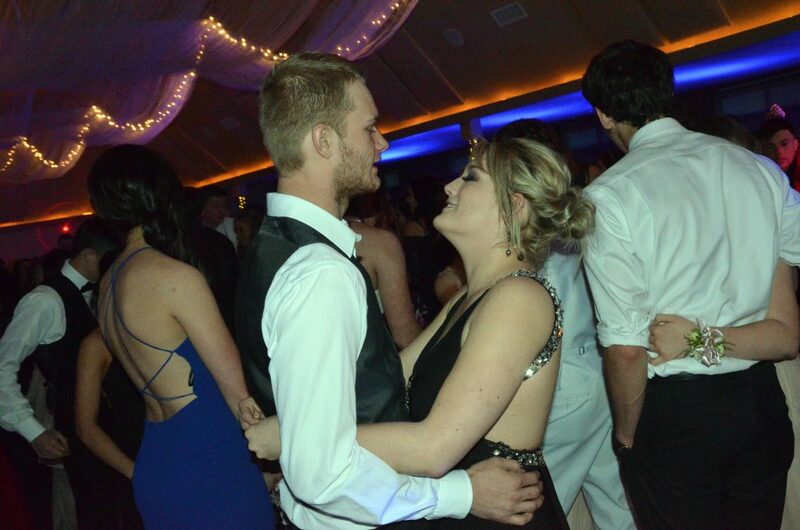 Owen Allen and Ashley Jessen get things started at Moffat County High School prom. 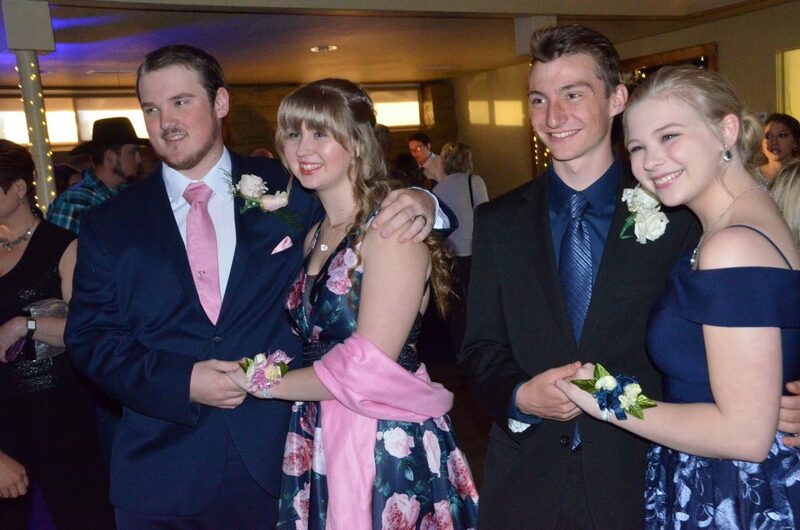 From left, Casey Copeland, Abigail Fritz, AJ Barber and Millie Fritz capture a photo at Moffat County High School prom. 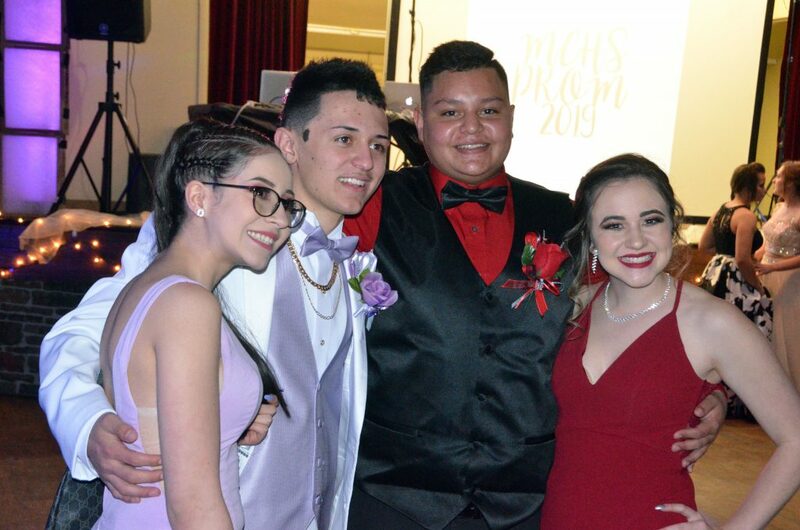 From left, Brianna Ayala, Dario Alexander, Joahan Quezada and Alyssa Zimmerman savor the moment at Moffat County High School prom. 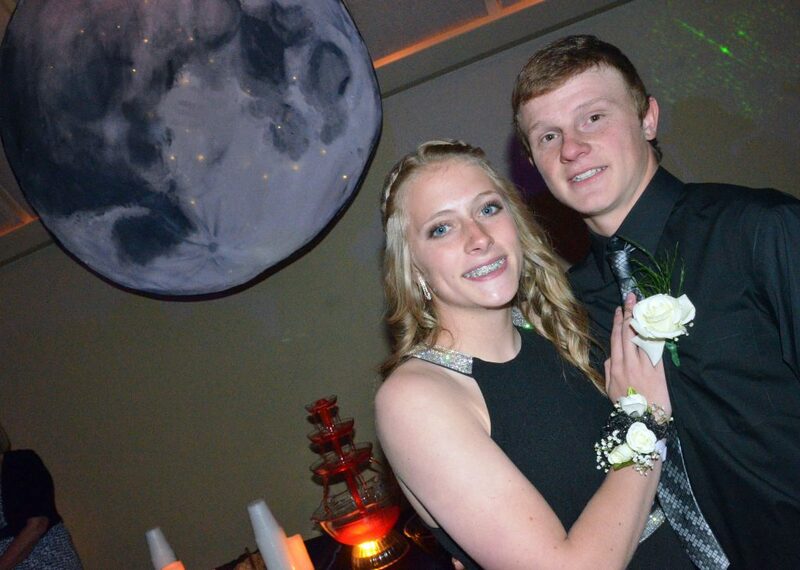 Chris Wells and Eliana Mack pose at Moffat County High School prom. 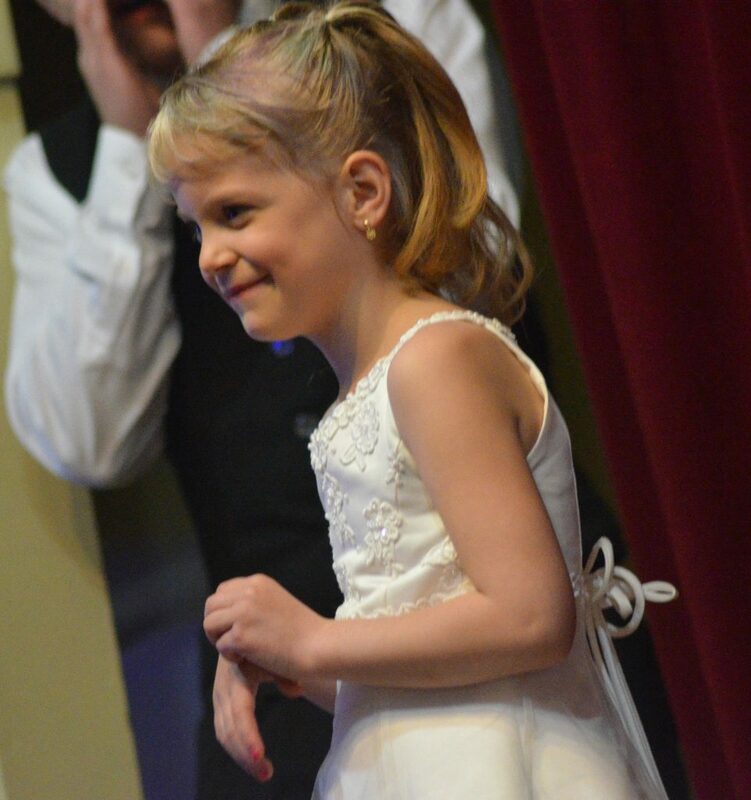 EllaClaire Boelen enjoys a moment on stage in the Grand March at Moffat County High School prom. 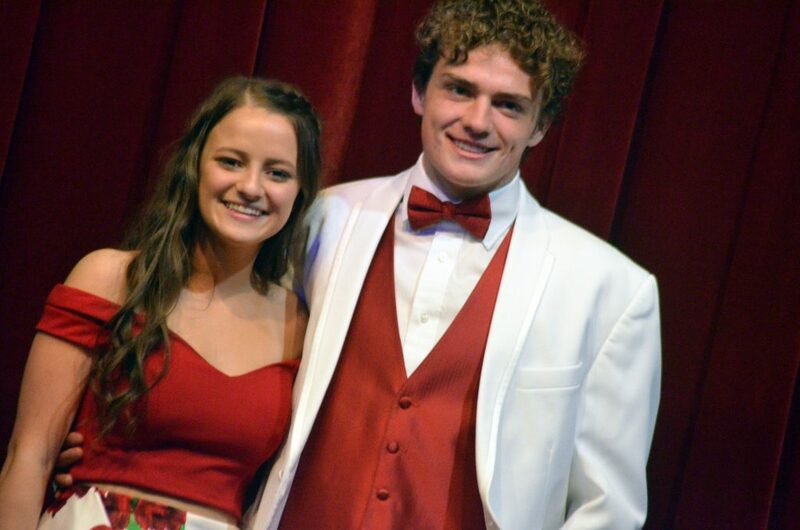 Kenzie Rehor and Jared Atkin hit the stage in the Grand March at Moffat County High School prom. 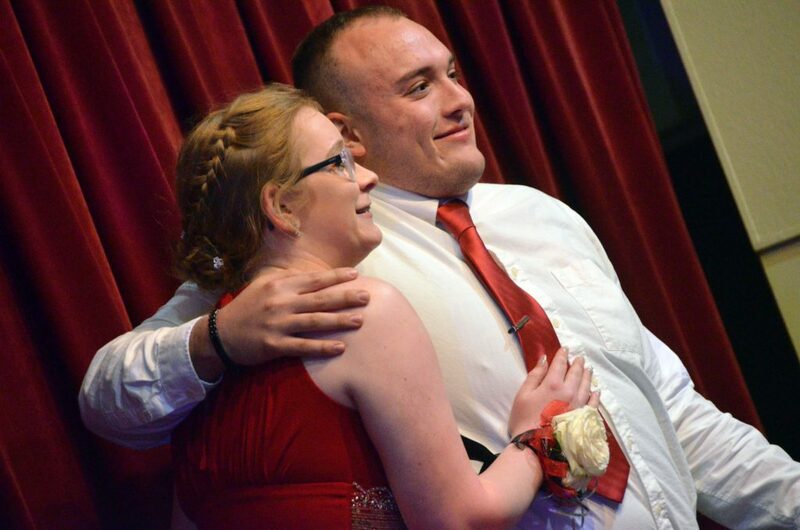 Meredith Kopsa and Zach Patterson hit the stage during the Grand March at Moffat County High School prom. 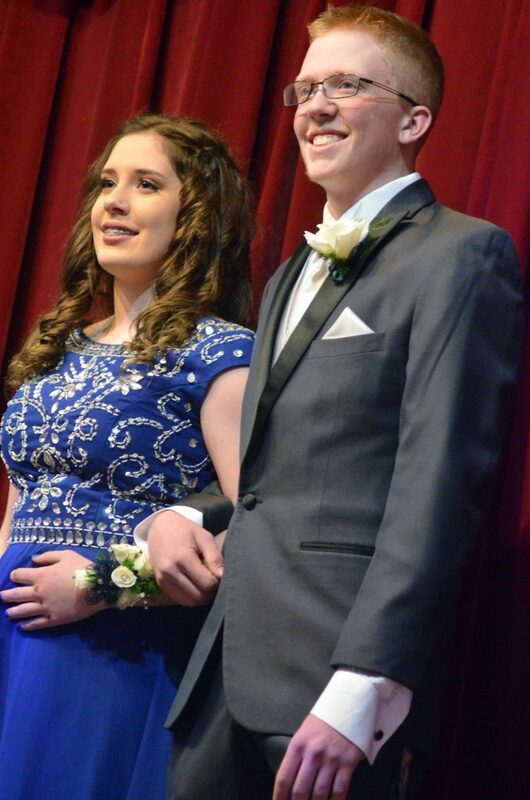 Aveory Lighthizer and Trenton Hillewaert pose in the Grand March at Moffat County High School prom. 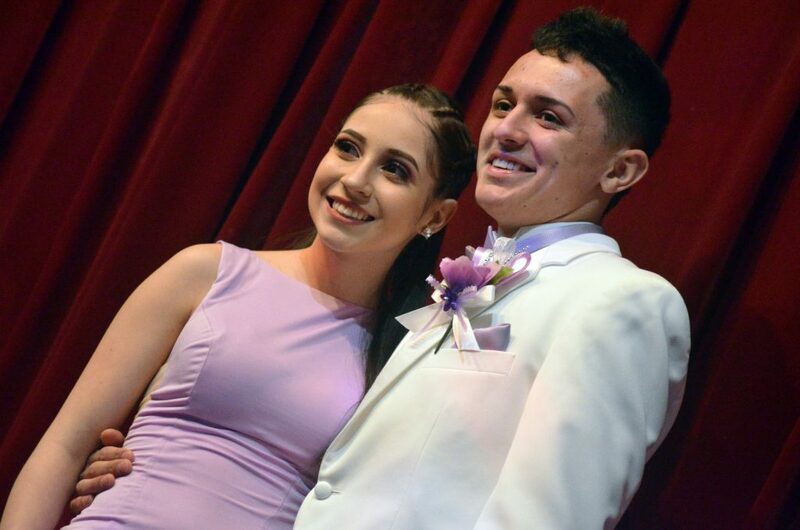 Brianna Ayala and Dario Alexander strike a pose in the Grand March at Moffat County High School prom. 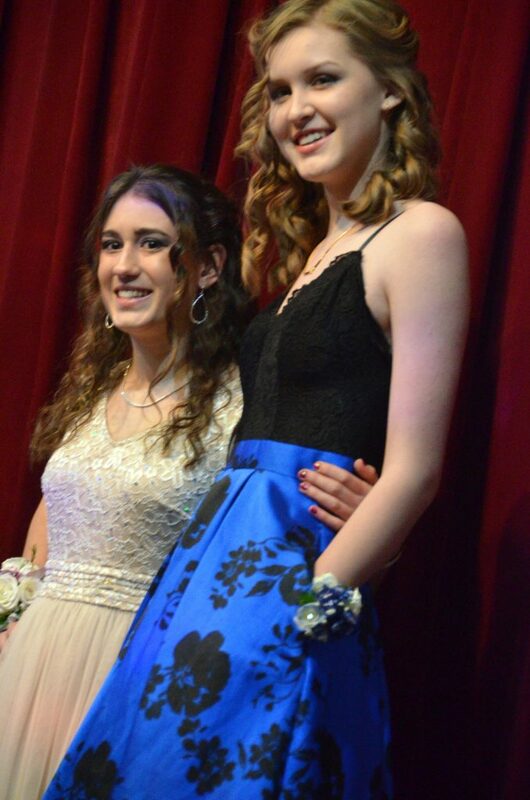 Berta Orus and Tayla Siminoe strike a pose in the Grand March at Moffat County High School prom. 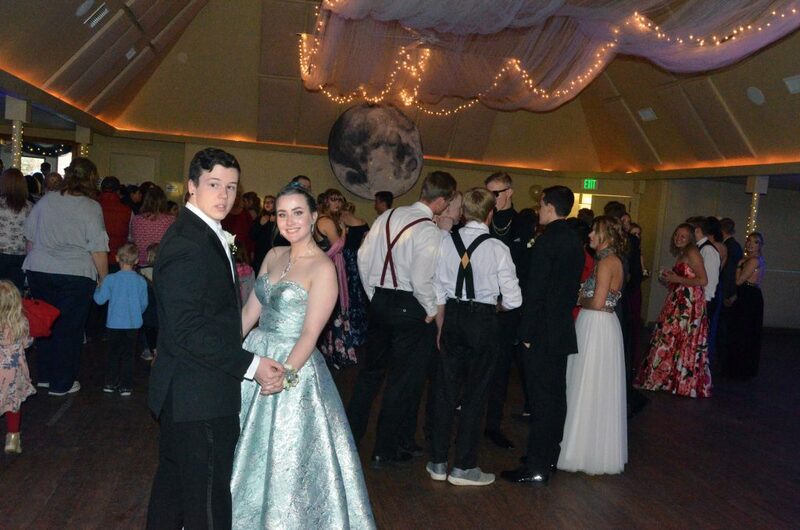 Courtney Smith and Hunter Petree await the start of the Grand March at Moffat County High School prom. 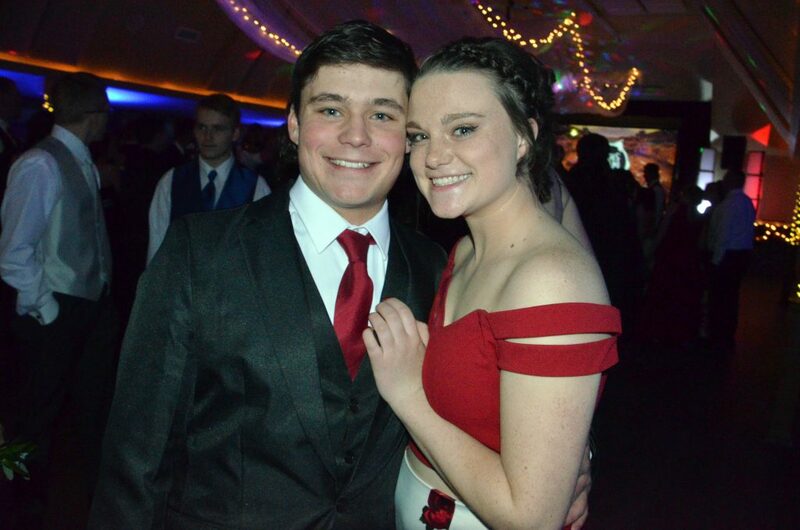 Aliceson Jones and Bryson Davis are among the first couples in the Grand March at Moffat County High School prom. 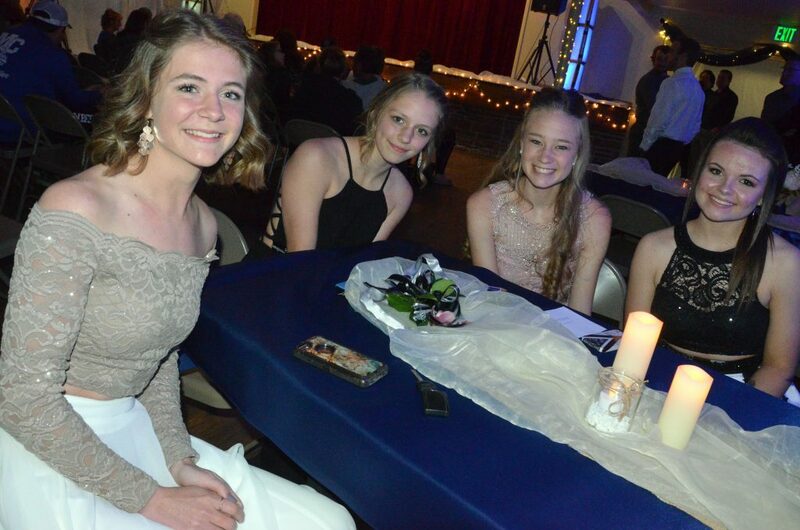 From left, Liberty Hippely, Emma Jones, Sara Beason and Darbi Zimmerman await the start of Moffat County High School prom. 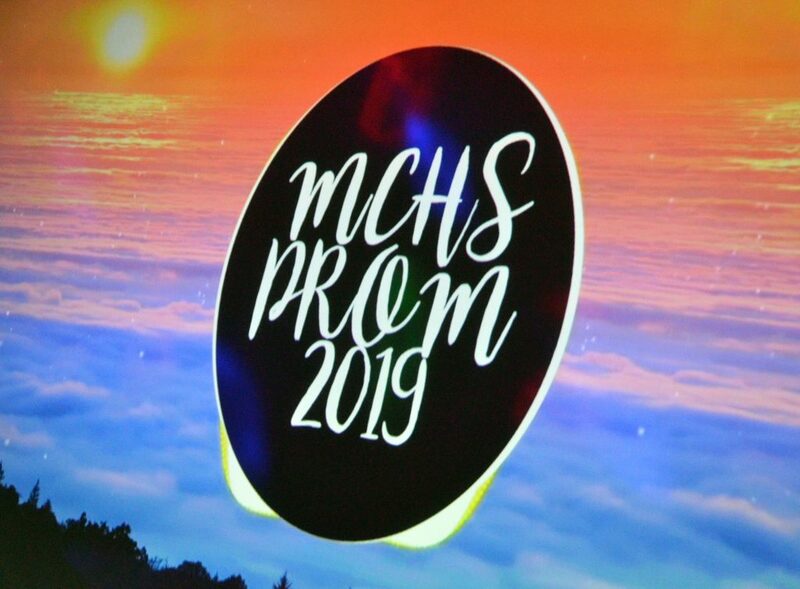 Projected graphics add extra flair to the Moffat County High School prom. 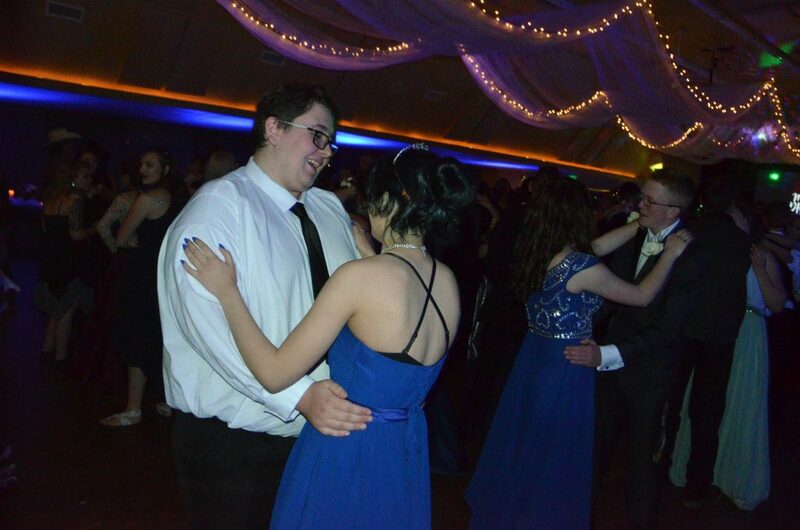 Ethan Powers and Molly Neton slow dance as the Moffat County High School prom comes to a close. 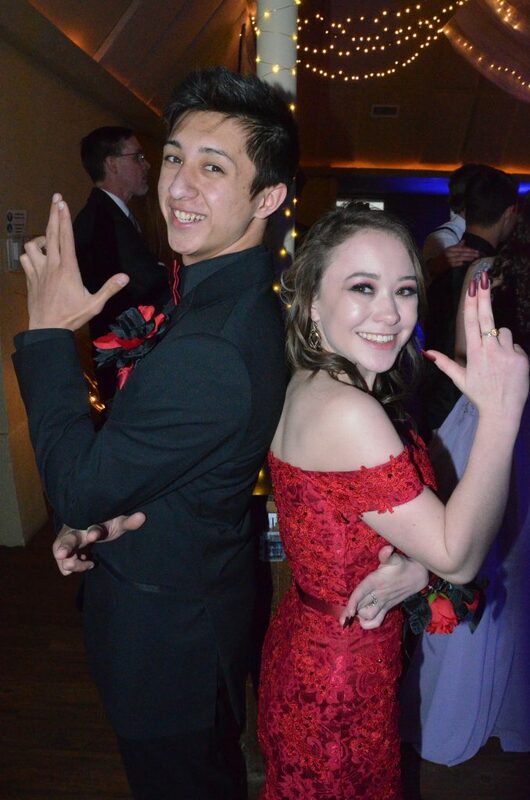 Sambu Shrestha and Fiona Connor strike a couple’s pose at Moffat County High School prom. 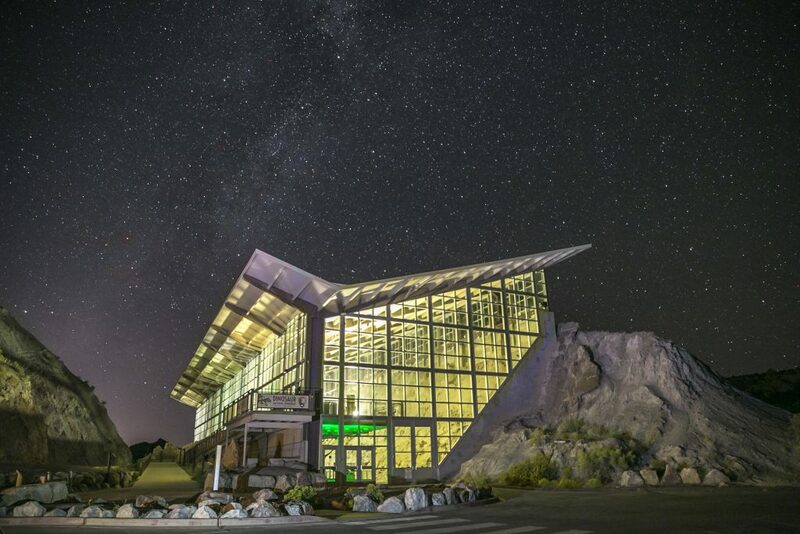 Classic constellations and telescopes were nowhere to be seen Saturday at Moffat County Fairgrounds Pavilion, yet the indoor re-creation of the nighttime sky proved to be just the right décor. 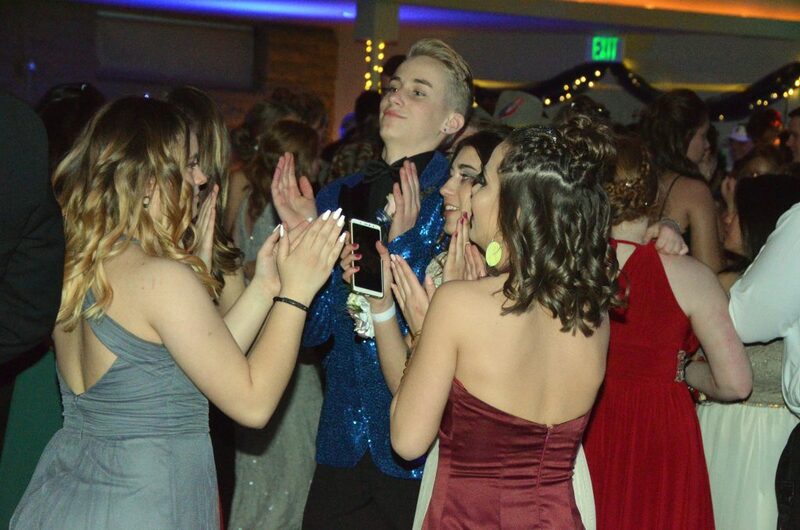 The Grand March brought with it synchronized dance moves, finger guns and more as prom-goers posed for a gauntlet of photos from family and friends. 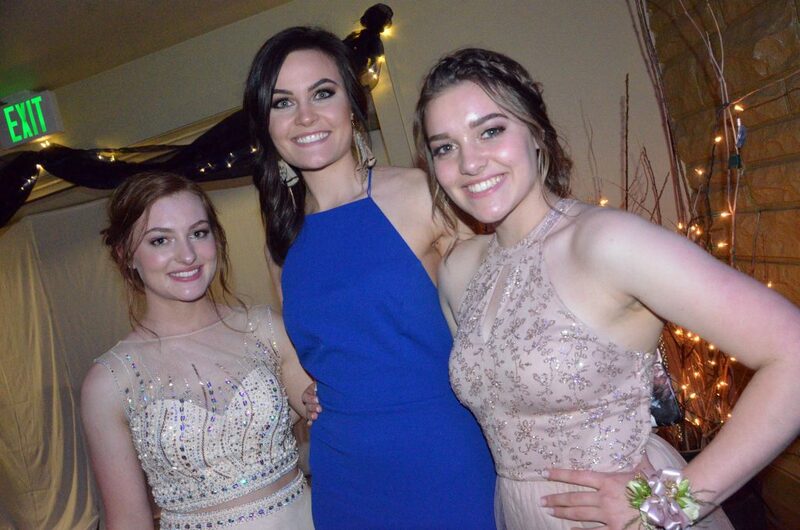 The Anderson sisters, MCHS senior Brayden, junior Rylie and freshman Mackenzie gathered during the march for a final sibling outing. 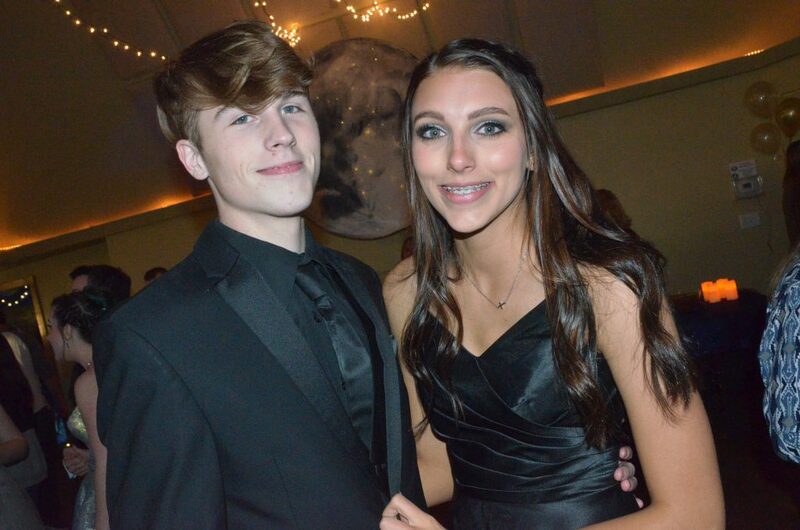 “It’s super-exciting for us, especially since it’s my last prom,” Brayden said. From there, David Pressgrove with Bear River Young Life took over the stage with a DJ booth and projection screen with graphics and musical lyrics to add to the visual flair of the night. 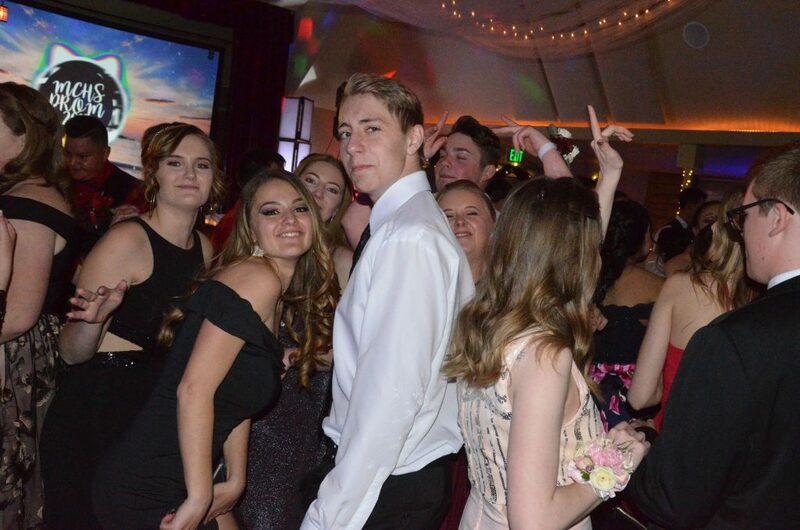 A setlist of pop, country and classic rock provided a soundtrack for the night along with plenty of action on the dance floor. 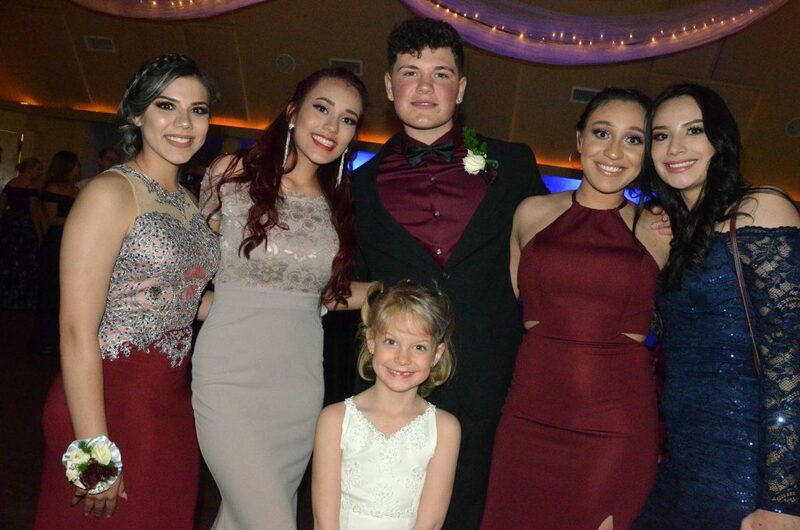 Leading up to the event in past weeks were waves of “promposals” as students competed to see who could make the grandest gesture in asking for a date, ranging from Kevin Hernandez using the West Theatre marquee to pop the question to Halle Hamilton. 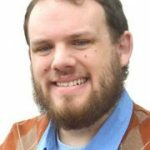 Joahan Quezada used a similar tactic to ask Alyssa Zimmerman. 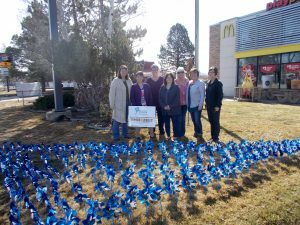 “It took me about two hours to get it all ready and tie off all those balloons,” Quezada said. The coronation came later as royalty for the junior and senior classes was announced, with students voting for their honored members. 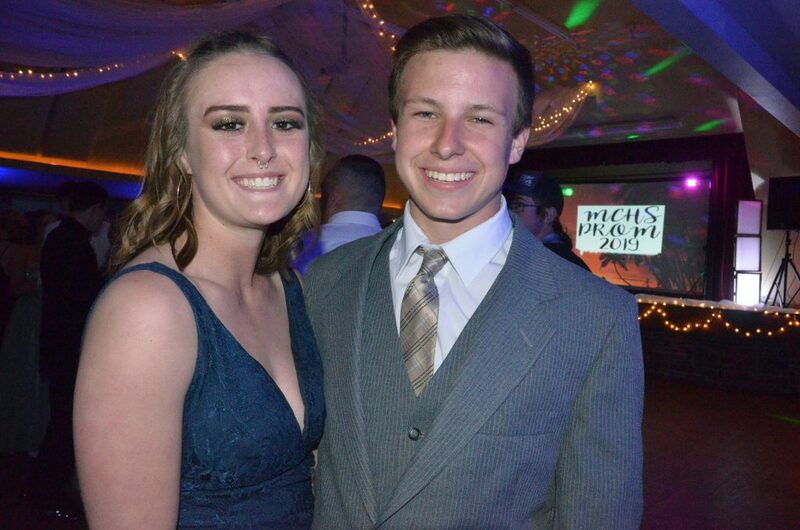 Taking Prom Prince was Kameron Baker, who only had one word in response. 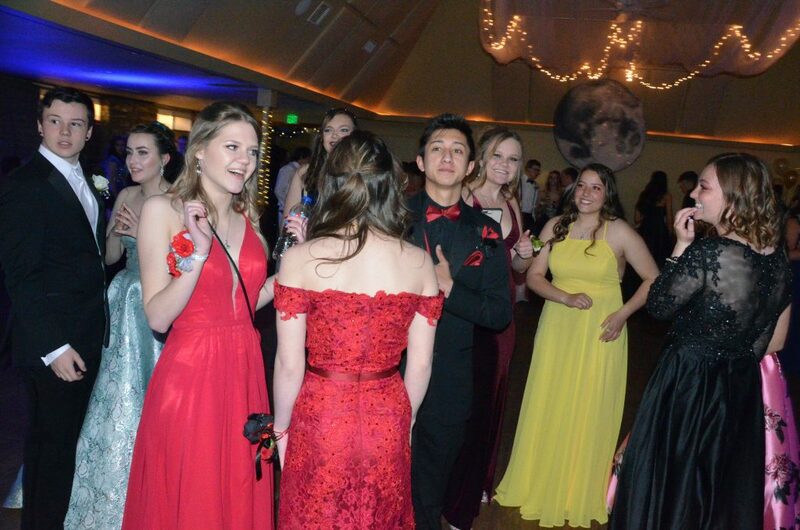 Fiona Connor was named Prom Princess, though her excitement was nowhere near as great as boyfriend Sambu Shrestha on her behalf. 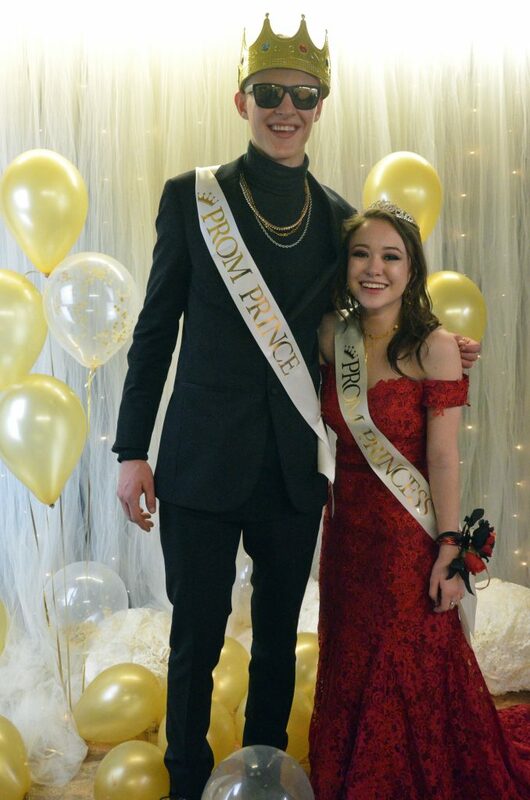 When he was named Prom King moments later, it was hard to tell who was more jazzed. 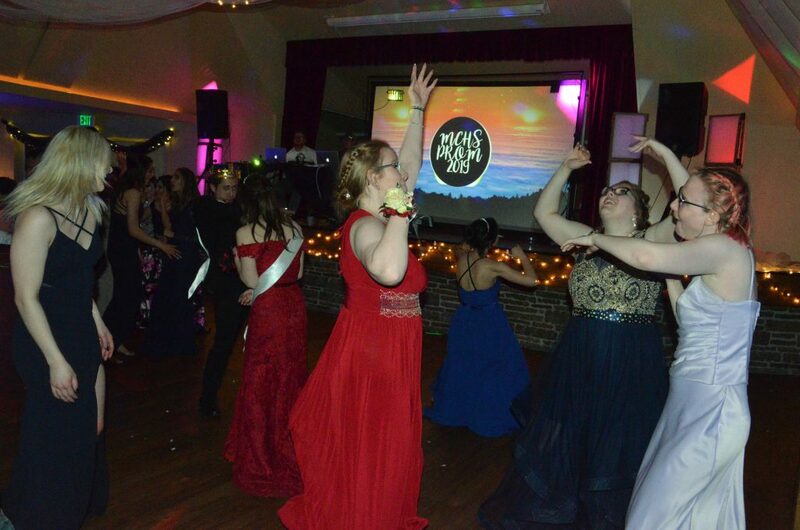 Alyssa Zimmerman took the crown at the end of the night as Prom Queen, which, to her, was an enjoyable albeit bittersweet gala. 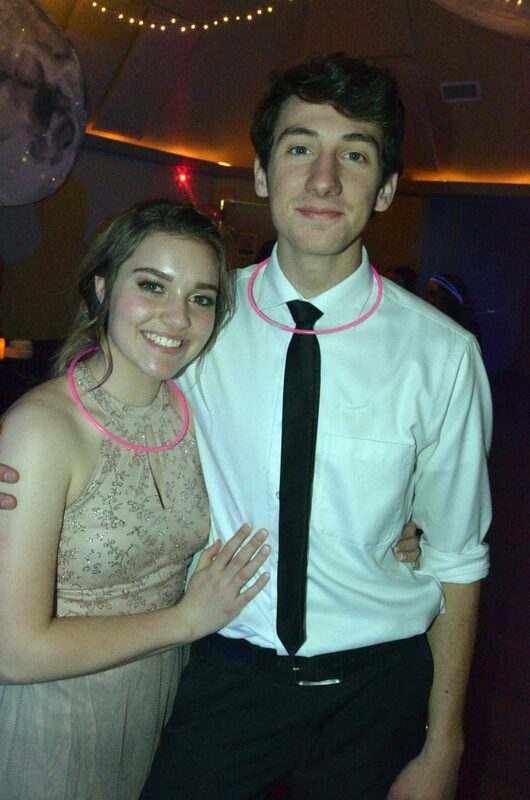 “It’s kind of sad to think this is our last prom,” she said.